Goal Setting will be unique to their gifts and talents. They can play in our group classes called our Student Bands. Performing as a group is an important part of the accountability process as well as just having a blast. In the past, the was a “no pain, no gain” philosophy regarding drum technique. But thanks to physical medicine and the study of ergonomics that philosophy is no longer valid with drum technique. Creative Soul instructors have been trained to use a contemporary technique that facilitates good development while playing all styles of music. 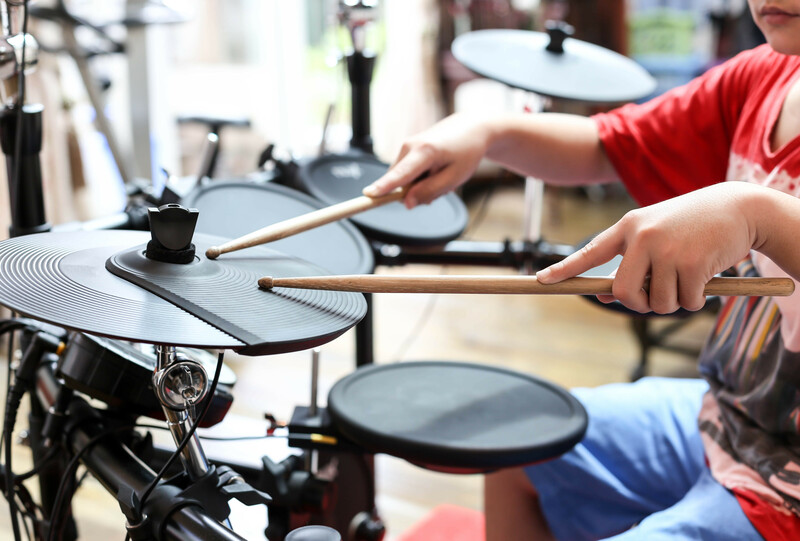 Being able to perform is a big part of sharing a special skill that students have developed. It takes practice and we want to reward and recognize our students. We have free twice a year recitals for all our students at such acclaimed venues like the McDavid Studio at Bass Hall and various other performance opportunities for our group class students at venues such as the Wood Shed Smoke House on the river, Central Market, & TV famous Chef Pointe for the students to jump into. Ages 3 through Adult - One-on-one Instruction. Ages 4 through Adult - Class with 2-3 students. Price per student. Student + Parent Instruction - Parents join in the learning fun! Be sure to check out our awesome team!